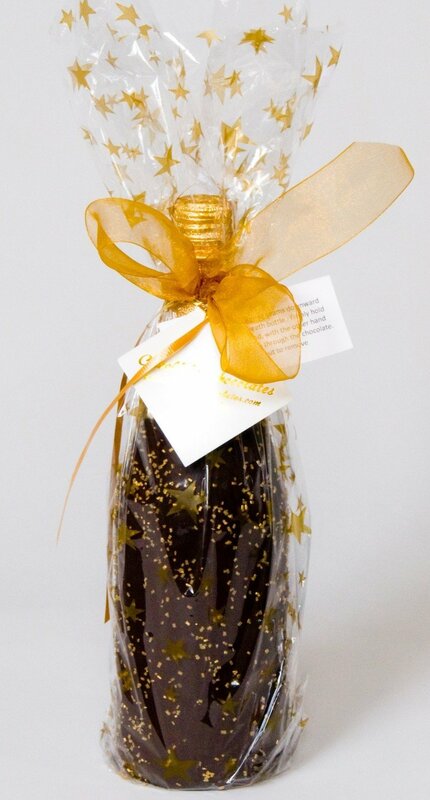 F - Martinelli's Sparkling Cider Chocolate Covered and wrapped in designer paper. We dip in our Chocolate Kettle. Chocolate never touches bottle. Easy Chocolate Removal. Shipping Included!